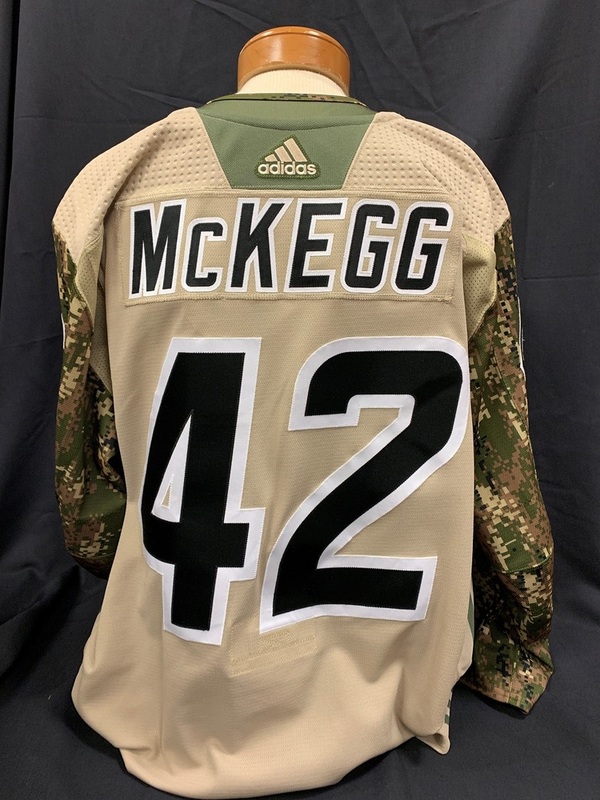 This Greg McKegg #42 Carolina Hurricanes Military Appreciation jersey was worn in pre-game warm-ups prior to the game against the Nashville Predators on January 13, 2019. The jersey is size 56 and comes with a Certificate of Authenticity. 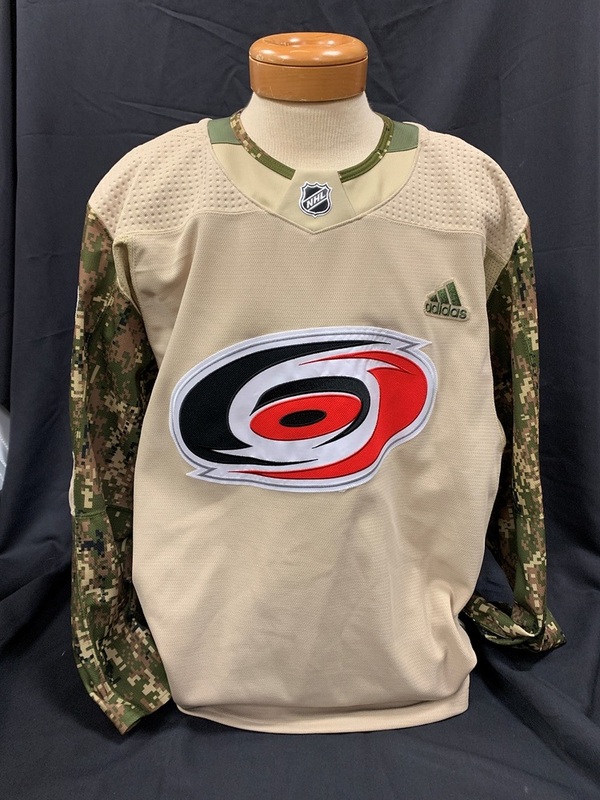 All proceeds benefit the Carolina Hurricanes Foundation. *Jersey will be autographed at a later date.